An international friendly between Ghana and Guinea billed to take place in Paris this coming Saturday has been called off, the Ghana Football Association have confirmed on their official website. The Black Stars and the Syli National were hoping to use the friendly as preparation for their upcoming 2017 Africa Cup of Nations qualifiers against Mauritius and Swaziland respectively. 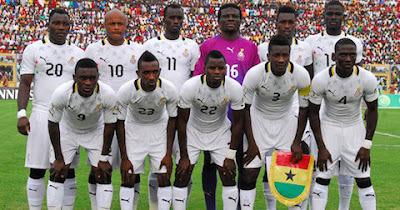 A statement on the Ghana FA’s website read, “Ghana’s international friendly against Guinea which was scheduled for Saturday, May 28 in Paris, France has been called off. Guinea recently parted ways with coach Luis Fernandez.